Growing up in Norway I developed a close relationship with woodworking, carving and wood house construction. Many of my teenage years were spent on building sites constructing traditional timber houses with my family. I developed a keen interest for these traditional wood crafts, but also a passion for the minimalistic, organic, and highly functional shapes which is the epitome of scandinavian design. These interest were carried with me to my degree here in the UK, and on to my business as well. 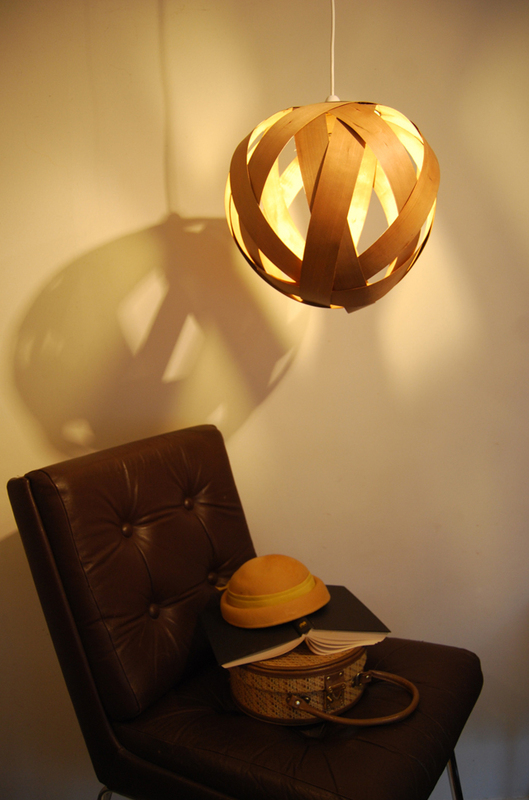 The thought behind “random lights” is that wood is an organic material and lends itself beautifully to organic shapes. I wanted to embrace highly detailed and sculptural shapes in my designs, giving each angle of the lamp changing aesthetics. When you shine light through the veneer it showcases the beauty of the grain which changes with each of the species i use. Each lamp is intuitively composed and will therefore always be slightly different from the next, It creates a wonderful focal point for any setting, casting a soft warm light and decorative shadows on ceilings and walls.